Race Review: Supersports 10 Mile International Run 2017 [Bangkok] (by Roarie) | JustRunLah! 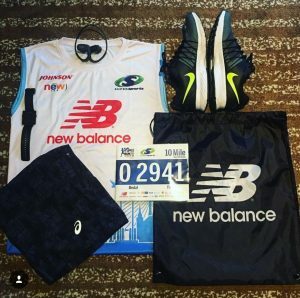 Occasionally signing up for overseas races just to get out of the island for a weekend runcation, I was browsing through the list of upcoming regional races, hoping to sign myself up for 1 or 2. There were two races that stood out for me and they are Garmin Blue Run 2017 Half Marathon and Supersports 10 Mile International Run 2017 (both will be held in Bangkok this June). 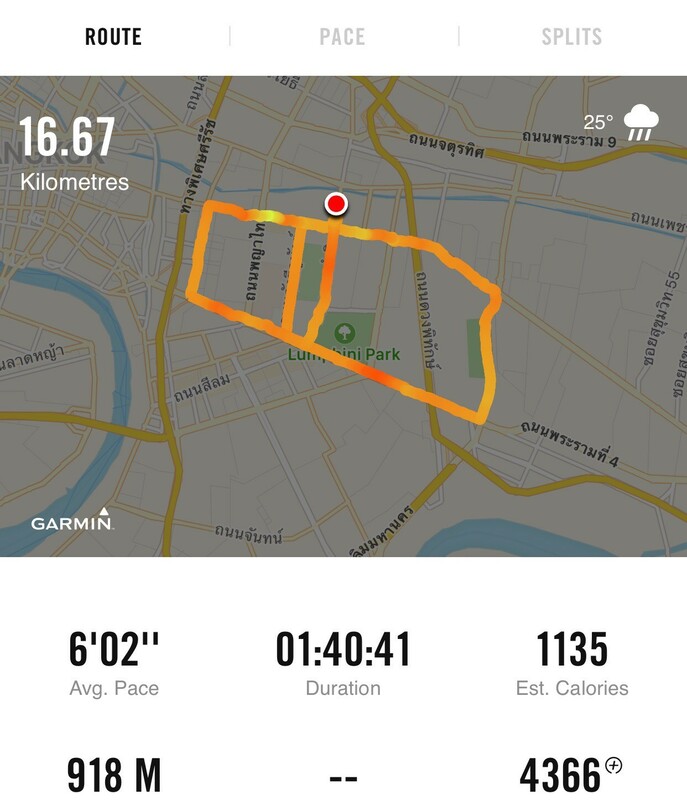 While the former interests me more (but Rama 8 bridge is so far from where I am putting up), I settled for the latter – mainly for its interesting and oh-so-convenient start and endpoint (Central World, formerly known as World Trade Center). 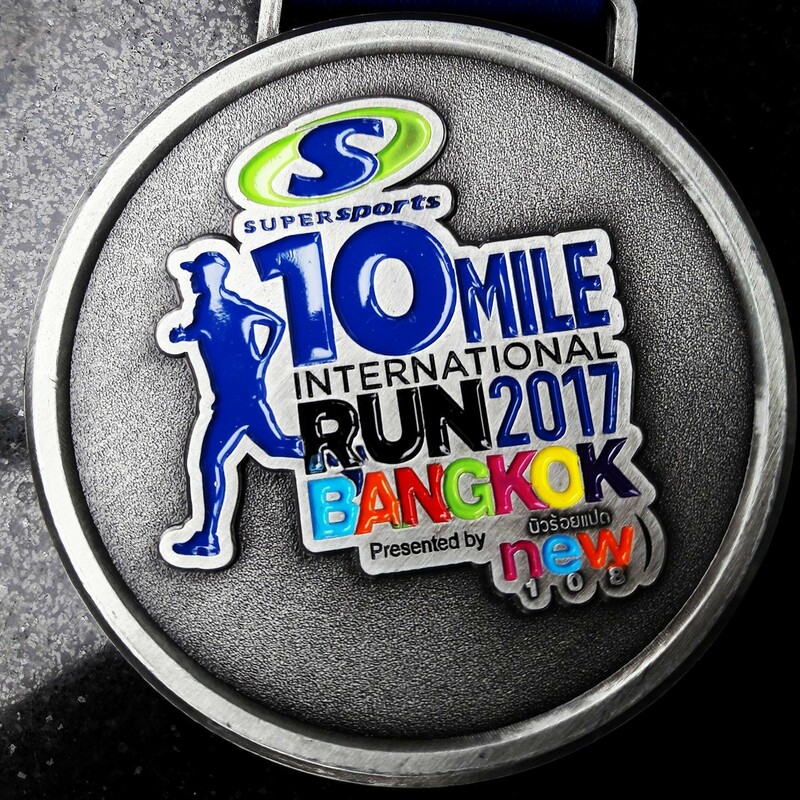 The various categories available are the 10 milers aka 16.0934 km (blue bib), 5 milers (red bib) and the fun run 2.5 milers (yellow bib). Race pack collection was swift, with different counters designated for bib, race singlet and freebies collection. I’m also happy to see a system set up to test and acknowledge your timing chip for its correctness. 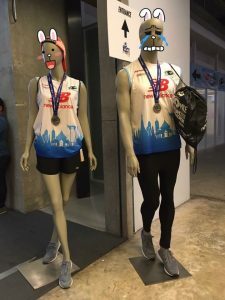 Prior to entering the hall, two mannequins are well showcasing the apparel and the medal that will be awarded to all finishers for all 3 race categories. 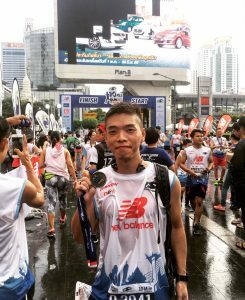 I know I can take a closer look and I did, and I felt the cold, hard medal!! LOL! It took me approximately 10 minutes or even less to complete my REPC, and of course here’s my #flatlay uploaded to my IG account as soon as I got back to my hotel! These are basically what I’ll be wearing the next morning. I’ve grown out of the habit of carrying things (phone, hydration bag etc.) while I run these days so there weren’t any on-the-go photos I can share. 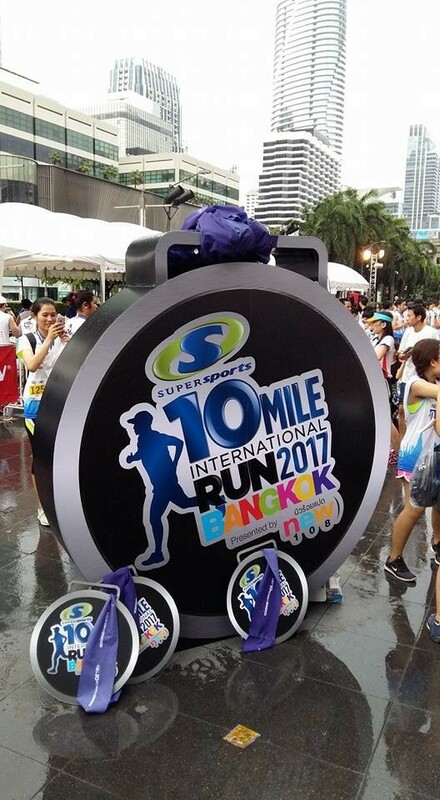 Here’s an official photo by Supersports Thailand shortly after flag off for my category – some participants were going free and easy! 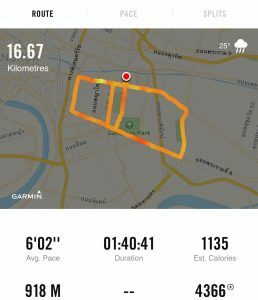 🙂 I wasn’t sure if the 10 miler category were sent off in one or multiple waves though. 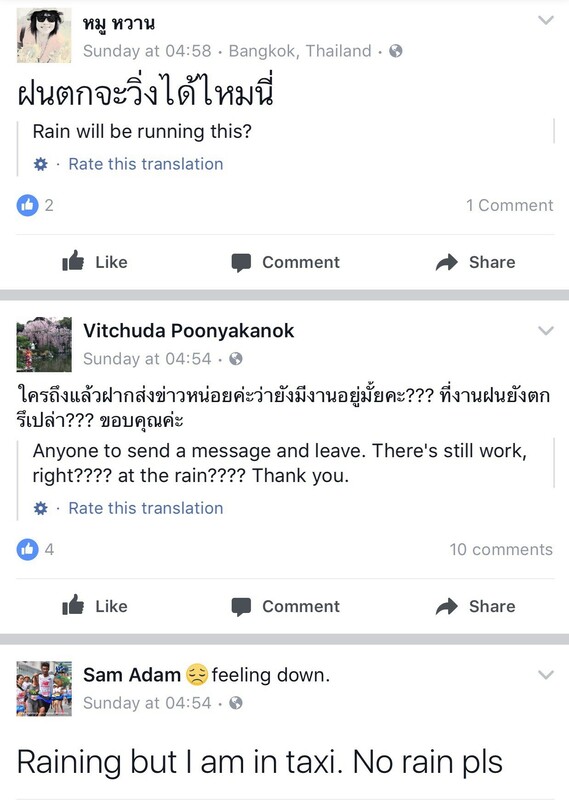 A whole night of thunderstorm sent everyone nervous and uptight spamming the official event page with “Is it still raining?” I can totally understand the “trauma” 🙂 Bangkok is not small and some participants had to travel quite a distance into city. 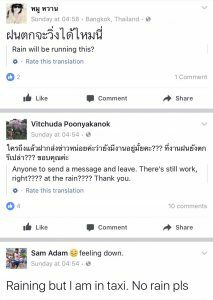 I guess the weather eventually took a sympathy for everyone when we were all flagged off at no delay (including me who got into the kingdom on Saturday and leaving the next day right after the race LOL)! 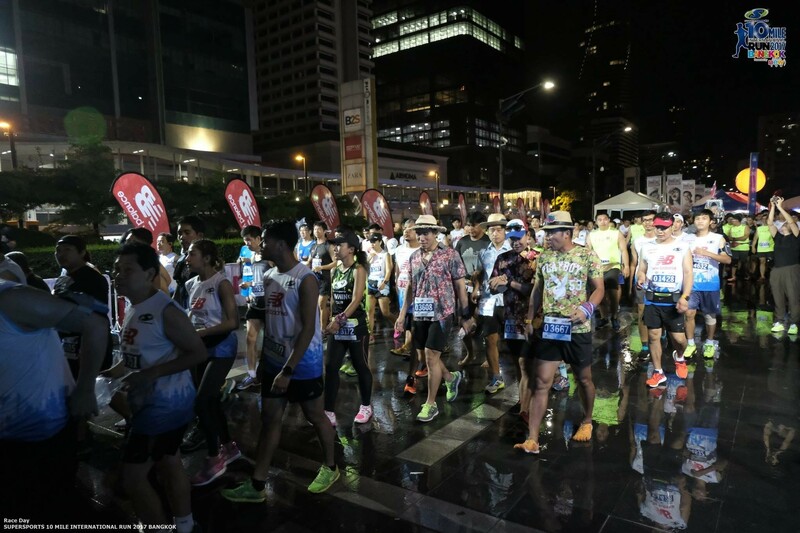 The flag off was absolutely on time at 0500 am local time sharp, and the race sent us off running roads that will take us through The Royal Bangkok Sports Club, Lumphini Park (famous for running/jogging any time of the day! 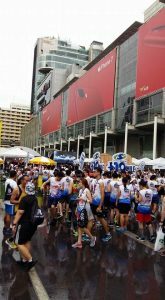 ), Sukhumvit, Sheraton Hotel, Terminal 21 Shopping Mall before leading us back to where we were flagged off, which is Central World. 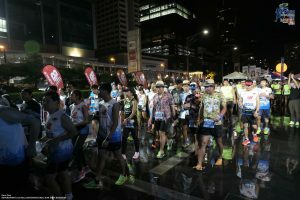 There was ample hydration along the entire race with drink stations at every 1.5 – 2 km which is a lot and what I am grateful for. 2 thumbs up for the availability of cold cold Lucozade! Thank you Supersports for a great event! 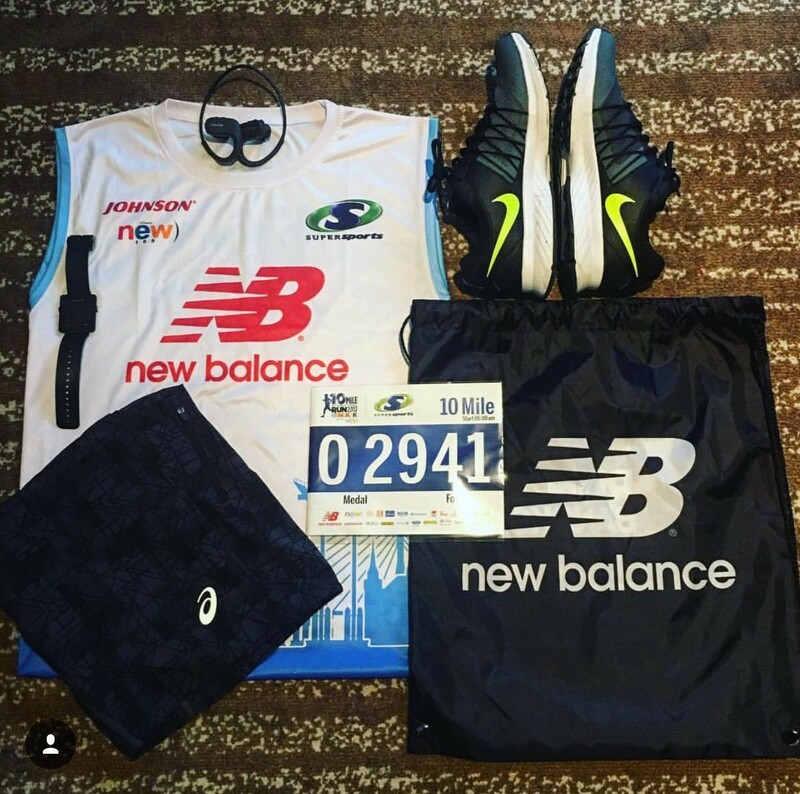 I’ll be more than likely to return in 2018! Congrats. Very nice medal. Sure seem like you enjoyed the run very much.